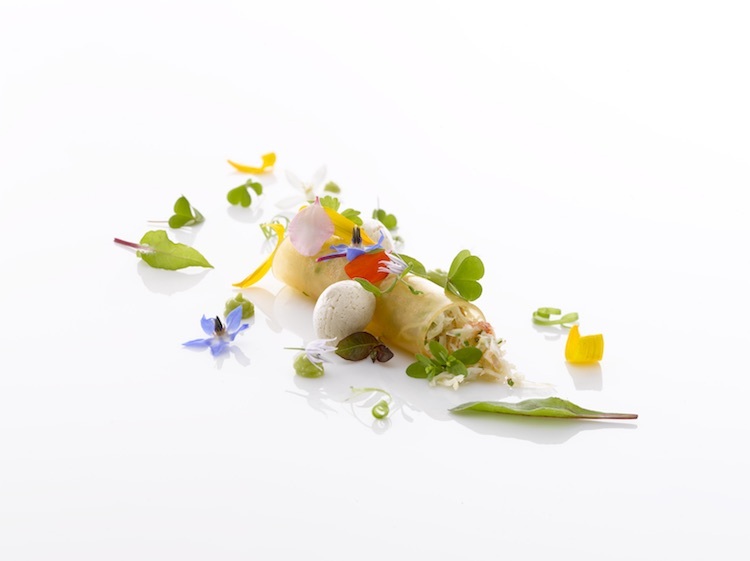 As if the French-Italian border town of Menton weren’t already graced enough with exceptional beauty, with the Mediterranean Sea and the steeply rising Alps in its back, it also boasts of one of the world’s Top Five finest restaurants, led by a chef who has it in his DNA to transform the bounty this blessed spot offers him into edible miracles. 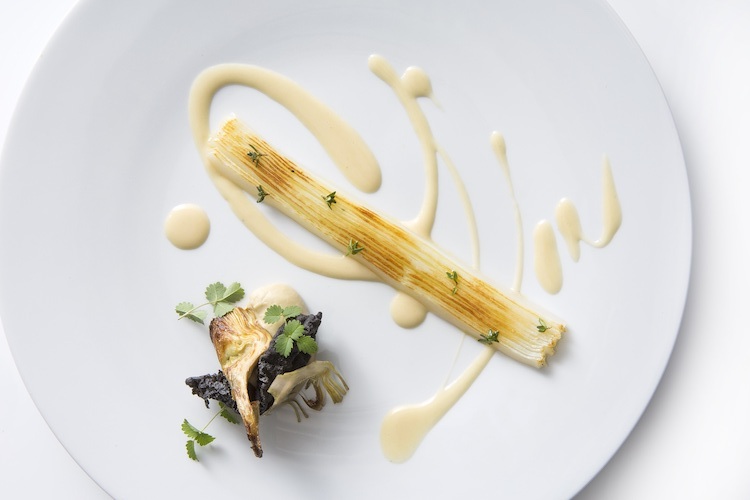 After numerous preceding accolades, including a steady accumulation of stars, Gault Millau honours, and Chef of the Year distinctions, Mauro Colagreco’s Mirazur has just been awarded a well-deserved third Michelin star in the guide’s 2019 edition. Colagreco shares this honour with only one other French chef this year – Laurent Petit of Le Clos de Sens -, and with no other chef born outside the confines of the Hexagon. In fact, the culinary genius saw the light of day in Argentina. He does have Italian roots via his Abruzzi-born grandparents though, and maybe his heritage was what first drew him to Europe, and to France notably. He apprenticed with the crème de la crème of French chefs, Bernard Loiseau, Alain Passard, Alain Ducasse and Guy Martin, shining so brightly that he went from commis to sous-chef in just two and a half years. With such an elite résumé under his belt and barely 29 years old, he opened Mirazur in 2006 and in less than a year, saw himself awarded his first Michelin star. 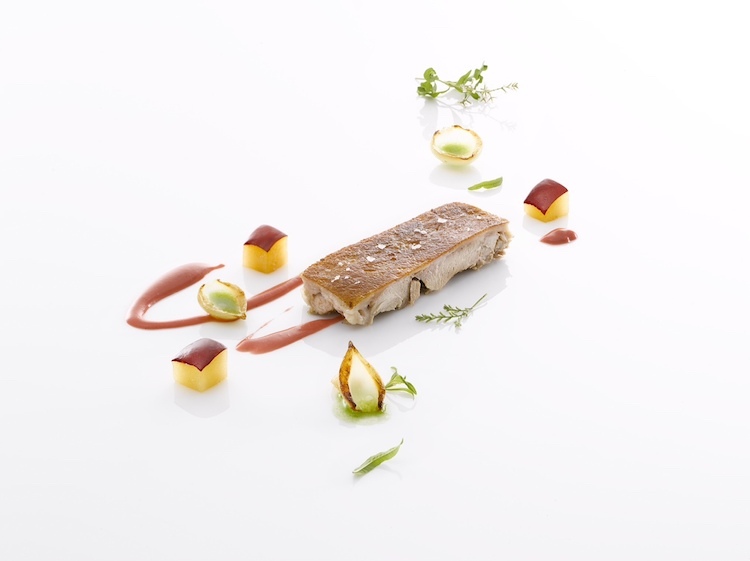 Since then, the restaurant and Mauro have gone on to achieve huge international critical acclaim and numerous national awards, a second Michelin star in 2012 and the “Chevalier De L’Ordre National du Mérite” medal, one of the highest civilian honours accorded by the French Republic. Mauro’s cuisine reflects the unique location of his restaurant… the amazing abundance of sea food and meat at his fingertips, the vegetables, herbs and fruit from the restaurant’s own sun-drenched gardens, and the daily farmers’ markets in Menton and Ventimiglia. In this region of shifting territories, overlapping maps and blurred boundaries, Mirazur offers a cuisine without frontiers, inspired by products and people. “This location creates a particular dynamic”, he says, “it awakens a taste for surprise and new creations”. 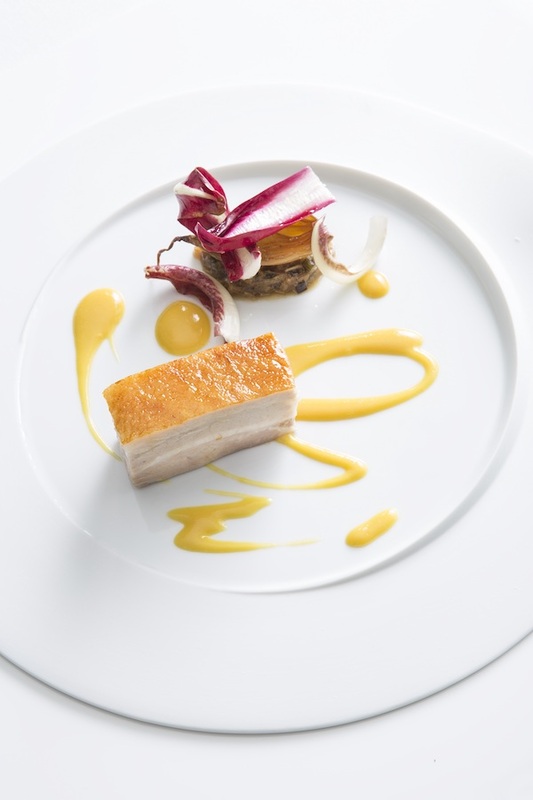 Knowing that Michelin critics do not really like surprises but swear by the faithful execution of classic French recipes, Mirazur’s cuisine is a testament to its chef’s tremendous ability to seduce and delight even the most discerning taste buds. But Michelin stars are not his first priority. He worked with acclaimed chef Bernard Loiseau when the latter committed suicide after his Côte d’Or restaurant had been downgraded from 19/20 to 17/20 in the Gault Millau guide and amidst rumours that he might lose one of his three Michelin stars. In a recent interview with Le Monde, Mauro confided that this experience shook him to the core and made him question the raison d’être of his profession. Was he doing it for his guests, his own pleasure, or the critics’ recognition? He determined it was for the first … with high standards but unnecessary pressure. 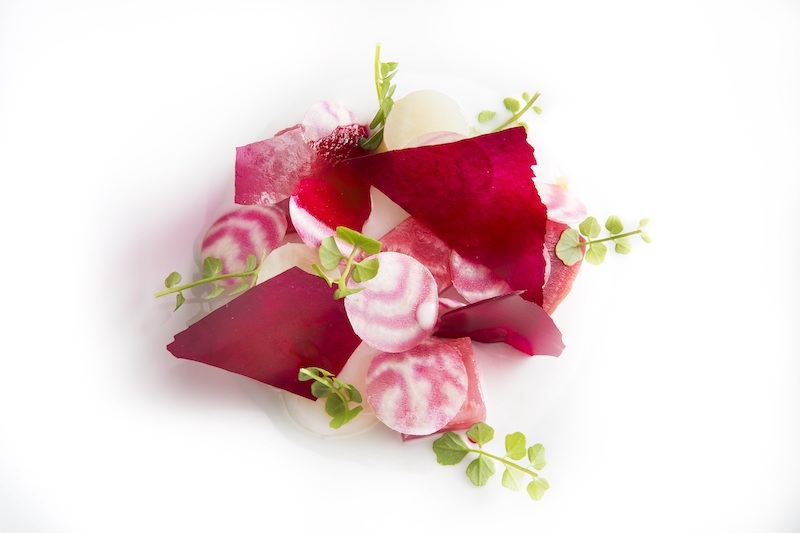 Mirazur has no written menu beyond a handful of year-round staples like its legendary oysters and pears pairing or the famous caviar on beets. But other than that Mauro deliberately tries to step outside his comfort zone, cooking whatever fresh and seasonal products he finds in the local markets the same morning. Early on, he remembers, he wanted to do too much of a good thing but over time he learned to streamline his dishes, rather focusing on extracting the ingredients’ purity and essence. A recipe that has worked. He is a great believer in a creative, innovative cuisine that transcends borders. However, he still does not go as far as to tapping into his Argentinean arsenal. He leaves the asado and gaucho cooking to his Bfire concept, franchised by restaurants whose menus focus on open-fire and grilled dishes. One of those can be found at the renowned Majestic Hotel on Cannes’s venerable La Croisette. Mauro understands that his success is not only his own but that of his entire outstanding team in and outside the kitchen. “How can I begin to express such overwhelming emotion and gratitude! Gratitude firstly towards my team for their dedication over the years; gratitude towards my family, for their sacrifice and support; gratitude towards our loyal guests for their continued support; gratitude towards our local purveyors providing us with the best products of the region; gratitude towards Michelin and their guide for recognising our work from the beginning; and finally gratitude towards France – a country where I chose to express myself, that adopted me, transmitting its values of “Liberty, Equality, Fraternity”. For those inspired to step in the famous chef’s footsteps, he recently published a book, a pricey but delightful compendium somewhere between autobiography, local narrative and recipes. An exceptional chef muy simpático with a world-class pantry at his fingertips which he knows how to work to perfection and for which he feels blessed. But isn’t it rather the French Riviera that is fortunate enough to have one of his calibre right in its own backyard? Vegan or Vegetarian – Which Will Win this Brutal Full-on Foodie War?